Above: Exploring the streets of NYC. Happy Thanksgiving; I hope yours was wonderful! This week, we've been enjoying the wonders of NYC (full recap post soon) and even though I am but a stone's throw away from some of the best shopping in the world, I will also be indulging in some online orders to streamline the process. For the past few days, the web has been abuzz with a plethora of promotions dedicated to the ineffable Black Friday shopping extravaganza; some have even already begun! Although some of us embrace the thrill of traditional shopping on the 27th--dense crowds and long lines can be marginally invigorating when coupled with the thrill of the hunt--there is a certain sense of peace in choosing one’s spoils from the comfort of a computer, ideally with a frothy latte at arm’s reach. Rag and Bone Margot Bootie...classic craftsmanship and a dual toned suede texture makes these a year-round investment. Burberry Chevrington Jacket...perfect for rainy days and brisk evenings. Freepeople Swing Dress...the earthy tones and easy fit will look great with booties and paired with tights or even jeans as the temperatures continue to drop! Equipment Oscar Cashmere Turtleneck...classic on every level. Alexis Bittar Lucite Small Hinged Bracelet: This is a perfectly timeless gift for others and one's self. Anything from Burberry Beauty...I am completely loving the line as of late...especially the Earthy Blush and Dark Spice Complete Eye Palette (mentioned HERE). Le Metier de Beaute Moisture Matte Lipstick (full review soon), Full Stream Kaleidoscope (reviewed HERE) and Peau Vierge (reviewed HERE). Use CODE: THANKFUL to also take advantage of the Gift of Beauty Promotion! Anything Gucci Beauty (reviewed HERE and HERE) but especially the eyeshadow in Oxydus, lipstick in Whisper and lipgloss in Breathless...I wear all three weekly. Nespresso Lattissima Touch Espresso Maker...if you are a coffee lover, this is incredible, if you are one who cannot get enough frothy milk on your coffee, this is a MUST. We bought ours from Bloomies last year and use it daily...the fact that is it $100 off simply cannot be ignored. Ours makes us ridiculously happy. Surratt Beauty (reviewed HERE and HERE)...this line has such a special place in my heart and I recommend the Relevee Mascara (reviewed HERE), Surrealiste Skin Concealer (reviewed HERE), Lipslique in Fee Soie (reviewed HERE) and Surratt brushes (to be reviewed soon). Lipstick Queen Silver Screen Lipstick (reviewed HERE)...creamy, pigmented and long lasting, some of my favorite shades include Come Up and You Kid. By Terry everything, including the Densiliss Primer (reviewed HERE), Densiliss Blush in Platonic Blonde (reviewed HERE) and Contour Compacts (reviewed HERE). Loren Stewart Gold 2 Bar Ear Cuff...love this line, need this cuff. It's as simple as that. I also have my eye on this charming Isabel Marant necklace and Rag & Bone Crop Jeans. Beautylish: Special Bioderma Bundles are available for this weekend only and while you're on site, take a peek at the Charlotte Tilbury Nocturnal Cat Eyes (reviewed HERE), Viseart Sultry Muse Palette (reviewed HERE) and By Terry Baume de Rose Parure (I stocked up on 4...to be featured soon). Mila Moursi: 10% off of orders of $300 or more; this skincare line is phenomenal and a key part of my daily routine (reviews HERE and HERE). Marc Jacobs Beauty: The two LE #Blacquer Friday Collections (reviewed HERE) are excellent gifts and self-splurges. Sephora: I suggest taking a peek at the $10 Beauty Deals and picking up a few Surratt Prismatique Lips (reviewed HERE) and NARS Audacious Lipsticks (reviewed HERE). Space.NK: From 11/25-11/29, spend $125 and receive a $25 gift card on a future purchase of $100+ free ground shipping...this is a marvelous time to pick up the Radical Skincare Skin Perfecting Fluid (review soon) and to stock up on By Terry (reviewed HERE), including the lovely Gold Jewel Lip Kit (reviewed HERE) and Mila Moursi. TEMPTU: 25% off site wide. This is a perfect time to invest in the magnificent TEMPTU Air...I use mine constantly (my review HERE). VMV Hypoallergenics: 50% OFF - Ooh-La-Lash Mascara, 40% OFF – 1635 Shaving Collection, 30% OFF – Id, anti-acne line and Skintelligent Beauty, 20% OFF – Superskin skincare, Red Better skincare designed for those with super reactive skin, Illuminants+ and Re-Everything the brands anti-aging collection. Alexander Wang: 11/27-11/28...free shipping on orders of $250 or more. I am loving these Boy Fit Jeans. All Saints: From now through 12/01, get 30% off all styles with the CODE: CYBER. I have my eye on the chic and draped Monument Coat in taupe. Anthropologie: From 11/27-11/30, take 25% off site wide with the CODE: SHOPTOIT. I will be picking up a pair of these Rachel Comey Nassau Chelsea Booties in black. DL1961: From now through 11/11/28, enjoy 30% off full priced items with the CODE: DLBLACK. Some of my favorite jeans come from this line as they do not lose their shape even after wearing and washing! I love the ultra-slimming Farrow jeans in Magma. GiGi New York: Now through 11/27..spend and receive promotion-- Spend $100 & receive Embossed Python luggage tag set (value $50.00), spend $200 & receive iPhone Wallet Case in Magenta or White (value $115.00), spend $300 & receive All in One Bag in Indigo or Kelly Green (value $125.00), spend $400 & receive Phone wallet in Taupe or Burgundy (value $180.00), and spend $500 & receive Teddie Tote in Clementine (value $295.00). Helmut Lang: From now through 12/1, get 40% off...I'm loving the Distressed Suede Sneakers and Wool Flannel Shirt Morse Drape Shirt and if you don't have it yet, this camel turtleneck is sure to be the silhouette of the season! J Brand: A wide variety of markdowns on classic staples like these Photo Ready skinny jeans in a black wash that can be worn with everything. La Garconne: This Pre-Black Friday sale (an additional 30% sale items with code: LGBFD30) started on Tuesday with insane details on Isabel Marant and Maison Martin Margiela. Net-A-Porter: A huge selection of sale items (up to 50% off) and a plethora of luxury gifts makes this site a super fun perusal. Rag & Bone: From 11/26-11/27 get 25% off site-wide and free shipping and on Cyber Monday, get an additional 25% off sale items with CODE: CYBER. 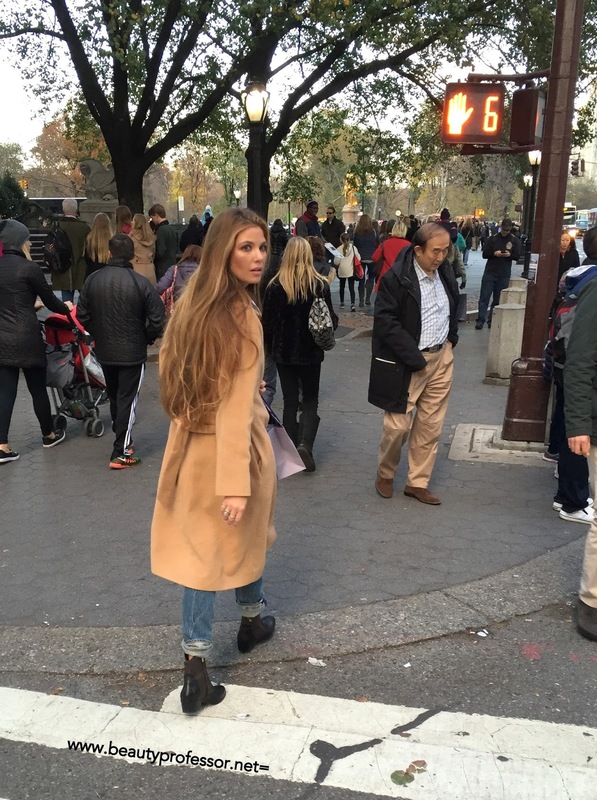 I cannot recommend the Dre Boyfriend Jeans enough...I have 3 pairs (reviewed HERE)! Topshop: From now through 12/1, get up to 50% off select products like this chic belted sleeveless jacket. Revolve: Up to 50% women's dresses and men's shirts. I have my eye on this Blackbird Maxidress...backless things always call my name. On Cyber Monday, save 50% off final sale items with the CODE: CYBER50. SHOPBOP: From now though 12/1, get 15% off if you spend $250, 20% off if you spend $500 and 25% off if you spend $1000 with the CODE: GOBIG15. I am adding these Rachel Comey Kai Slingbacks, Elizabeth and James Swing Sweater and Riller & Fount Truman Wide Leg Pants to my shopping cart ASAP! The Real Real: 20% off a plethora of luxury items, already at deep discounts with CODE: THANKS...I stalk the Cartier page constantly. TOBI: 50% off site wide (from 11/26-11/30) with the code THANKFUL50. I suggest the cozy Laced Sweatpants (with pockets! ), Hanging On Midi Dress and these darling peep toe booties. Above: Central Park at dusk. Bottom Line: I hope you found this Black Friday post helpful and cannot wait to hear about what you may have indulged in...please share your choices in the comments section below! 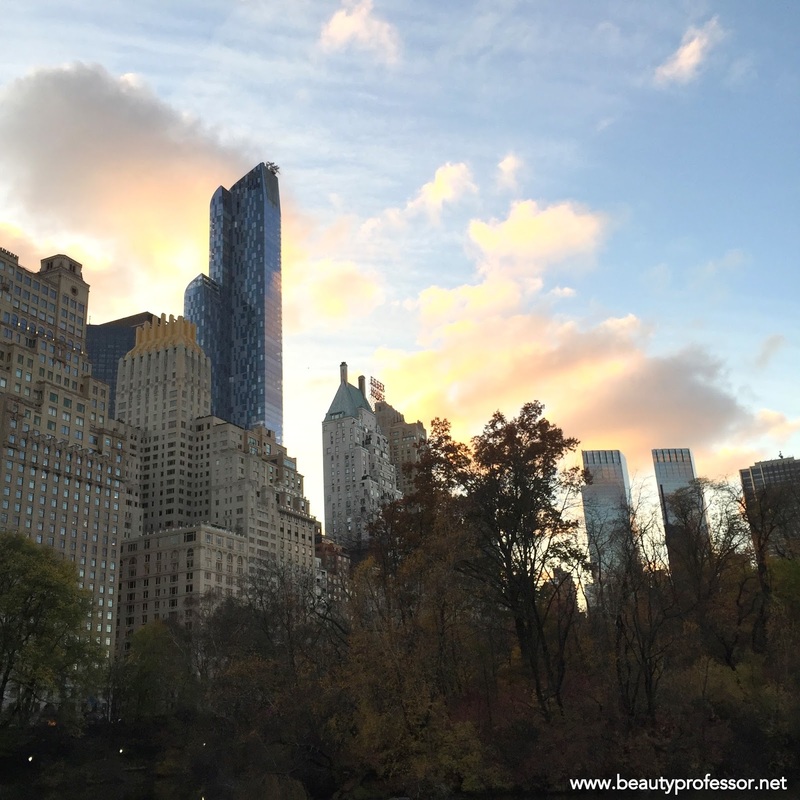 Good things ahead, including a NYC trip beauty and fashion recap and some Cyber Monday only deals. Have a blessed rest of the week! Thanks for compiling the list of deals for us. I look forward to buy blackbird maxidress this monday. My pleasure, Linda!! Hope you love the dress! I would suggest shade 8 as being the closest to #123 KGD...hope it comes in stock for you soon! Thank you so much!!! Your hair is so beautiful. I am going to try the L'oreal shampoo and conditioner. Have a wonderful day Gorgeous! Thank you for the kind words, Judi!! The L'Oreal shampoo and conditioner was a delightful surprise find!